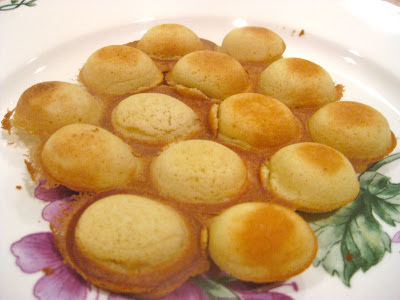 One of my favorite street snack foods in Hong Kong are Gai Dan Jai, otherwise known as Egg Waffles or Mini Egg Puffs. They are never too sweet, perfectly crunchy on the outside, but fluffy on the inside and so delicious. This past visit to Hong Kong my mom and I searched for an egg waffle pan and then looked for the perfect recipe and I think we succeeded! It takes some practice, but once you get a hang of it, you'll be making these often. You can buy your own Egg Waffle Pan if you live in the US and won't be traveling anytime to Hong Kong anytime soon from Williams-Sonoma. It's more pricey, but according to the reviews, it works pretty well. Does anyone know of another place to buy the pan for less in the States? 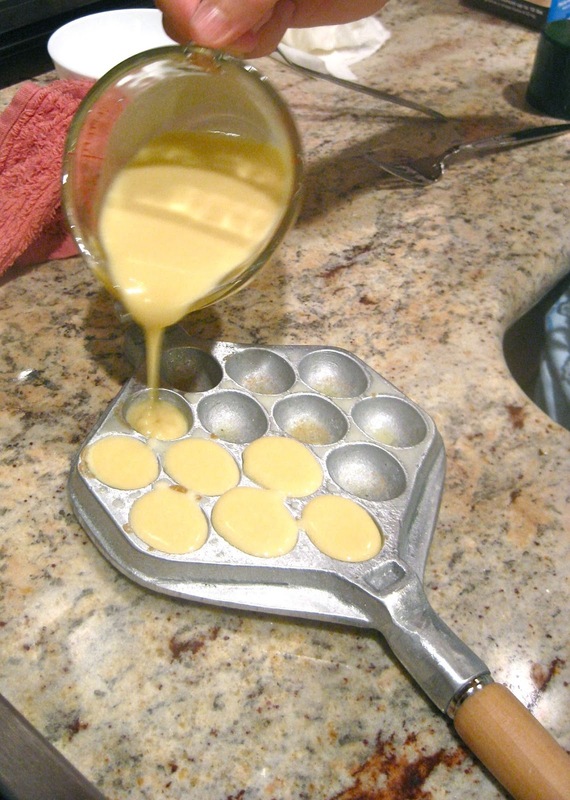 In a metal bowl, mix together the flour, baking powder, custard powder and corn starch. 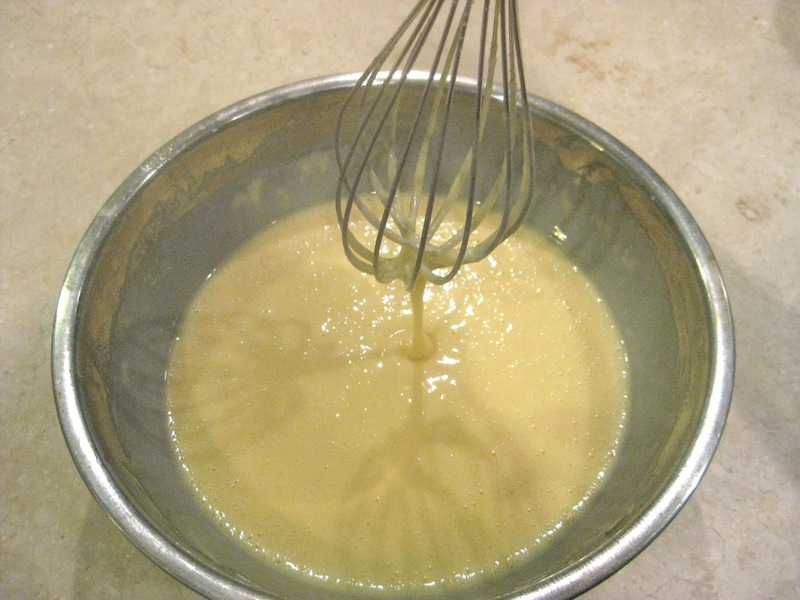 In a separate medium sized mixing bowl, beat the eggs and sugar with a whisk very well. Add the evaporated milk and mix well. Add the dry ingredients and water to egg and sugar mixture in small batches and mix well. Once you have added all the dry ingredients and water and mixed well, add the oil. The mixture should be runny, but slightly thick. 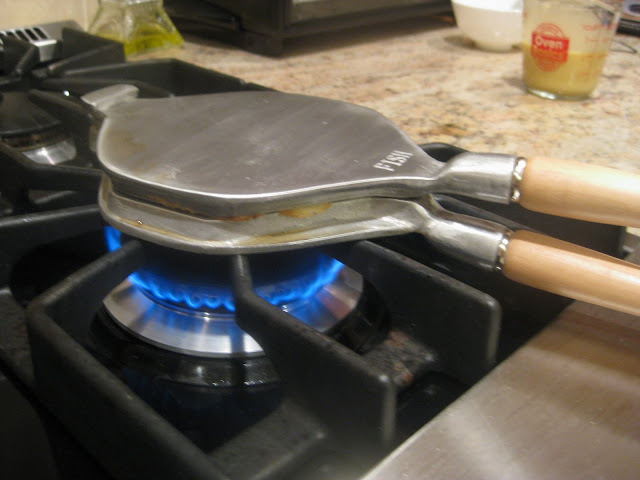 Close your egg waffle pan and heat both sides of the pan over your stove on medium heat for 2 minutes on each side. Open the pan and lightly spray each side with oil spray. Fill one side of the pan with the mixture. The mixture should reach the top of the molds. 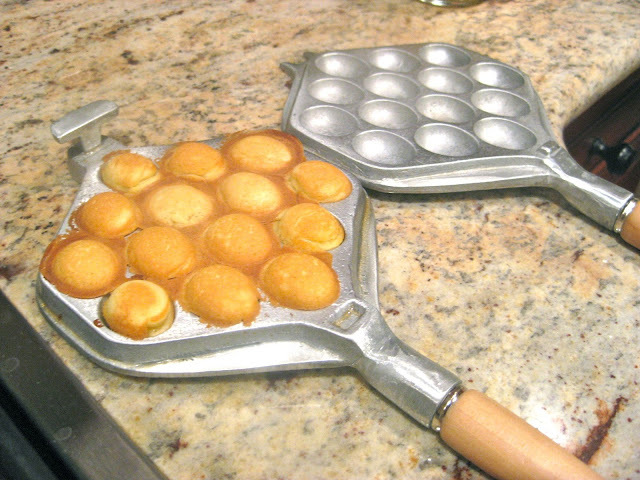 Quickly close the pan tightly and flip the pan over. Cook on medium low heat for 2 minutes on each side. Once finished, remove the waffle. If it does not come out by itself use a toothpick to remove it. I didn't know they had them in Taiwan too! I'm the exact same way...you can smell them a mile away! Who can resist?